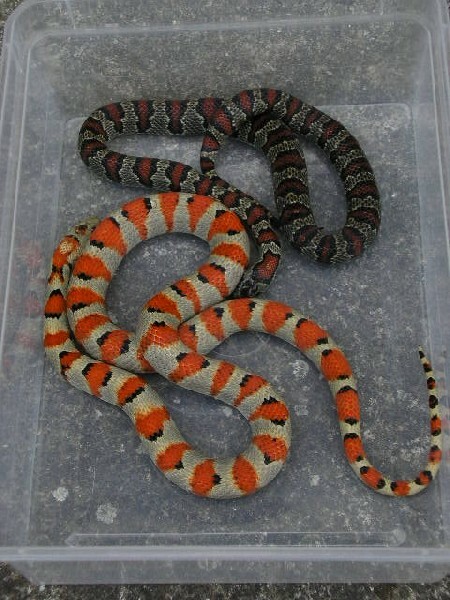 About Hypo Greeri:I have also in breed of such animals,and no not convince me,that I do not have clean Hypo Greeri.As I noticed,hymomelanistish Greeri is various levels,as L.t.hondurensis -start such animals as are those born,after your super Hypo Greeri from last year.But vast majority of Hypo Greeri has concentrated black dots or line in center red spots. I bought male from my photos in Germany as only hetero Hypo(but he is very nice Hypo)-in pictured comparest with natural color female. What is your opinion?Very greetings to U.S.